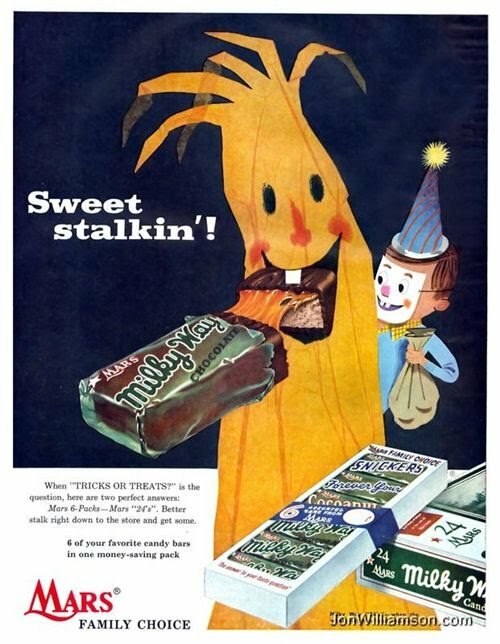 What the hell is that thing eating a Milky Way bar? Is it a tree? A stack of hay? The kid's goiter? Much thanks to JonWiliamson.com for providing today's treat (or trick).